I want to thank All staff members for doing a great job with the Minnesota Department of Health Survey this year. I am so proud of all of you and the great care you give the residents! The Survey Team entered Field Crest on 1/23/18 around 1:00 pm and they Exited the next day, 1/24/18 at 4:15 pm. I have been through many surveys and this is the shortest survey ever!! – One Resident had facial hair, a dignity concern over the fact that the resident was completely dependent on staff for Activities of Daily Living. – The 2nd step TB testing was not read on 2 new staff members. Another staff member started working before the 1st step was read. 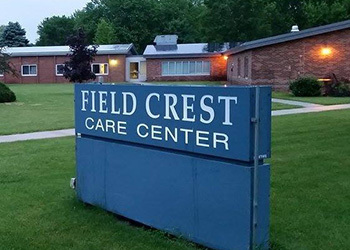 The Surveyors interviewed 4 family members, stating that the family members had nothing but “good things” to say about Field Crest and our Staff. Dr. Kirsch: Congratulations to all, Cheryl, that sounds wonderful. Look forward to hearing more! Sarah Brown, Pharmacy Consultant, Sterling Drug: That’s amazing! What team did you have? I have several other facilities that have had some pretty rough surveys in the past few weeks, so this is really something to be proud of. Congrats!